Description: This auction is for 3 rare Bulgarian ak47 7.62x39 30rd Polymer magazines. 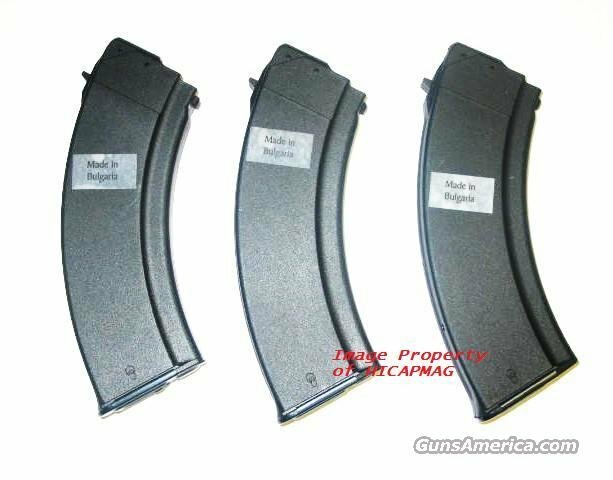 These are genuine Bulgarian Magazines of the highest quality and getting harder to find and BRAND NEW.Features include durable polymer construction, improved non-tilt/non-jam follower and compression spring, inner base plate with spring-alignment wedge and removable steel outer floorplate. Black polymer magazines include steel reinforced feed lips. You paid a lot for your gun, don't accessorise with junk. Get yours before they are banned. Check out my other auctions as I combine shipping. Buyer pays flat rate shipping $12.95 Priority Mail with tracking number. Payment to be made by Certified Check, Money Order (Postal Money Orders Preferred or personal check, (item held till cleared). Shipped only where legal.